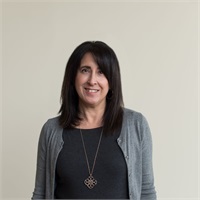 Ana brings a diverse background to Wealth Advisors Group with over 20 years of experience in the business field including: corporate accounting, business administration and project management. Ana is a graduate of Loyola Marymount University, where she received a Bachelor of Business Administration degree in Finance. Ana is a native Californian but has been a Marine Corps spouse for 20 years. This opportunity has given her the experience of living in many great places around the United States and traveling overseas. Ana currently lives in Darnestown, MD with her husband and 3 children. She is passionate about supporting community outreach programs, playing tennis, hiking, traveling and spending time with her family. Securities and investment advisory services are offered solely through Ameritas Investment Corp. (AIC), a registered Broker/Dealer, Member FINRA/SIPC, and a Registered Investment Advisor. AIC and Wealth Advisors Group, LLC are not affiliated. 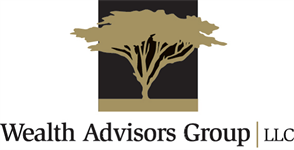 Additional products and services may be available through Wealth Advisors Group, LLC that are not offered through AIC. This is not an offer of securities in any jurisdiction, nor is it specifically directed to a resident of any jurisdiction. As with any security, request a prospectus from your registered representative. Read it carefully before you invest or send money. Securities products are limited to residents of AL, AZ, CA, CO, CT, DC, DE, FL, GA, IN, LA, MA, ME, MD, MN, MO, NC, NJ, NY, OH, PA, SC, TX, VA, WI, WV. A representative from Wealth Advisors Group, LLC will contact you to provide requested information.